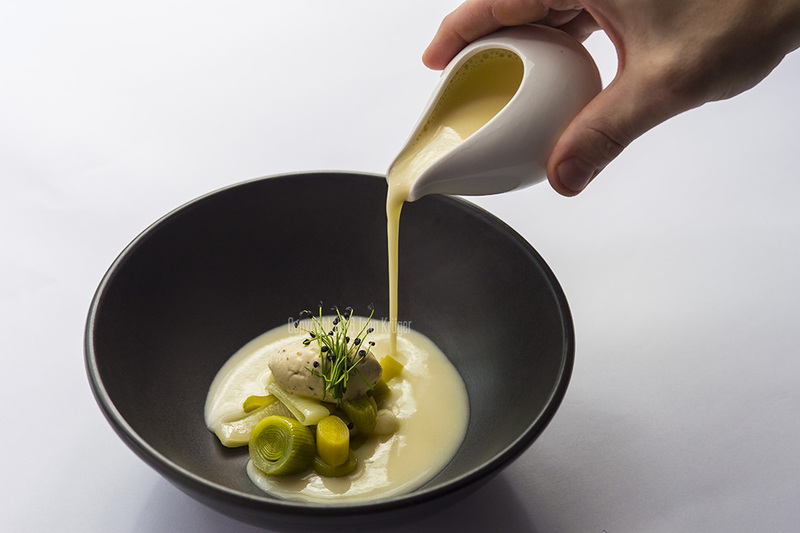 Head Chef Brent Potuszynski thought he’d like to show an action shot of pouring the Vichyssoise into the dish. I think it looks great. It tasted even better! There’s a hint of truffle in the quenelle and I love the tiny garnish. 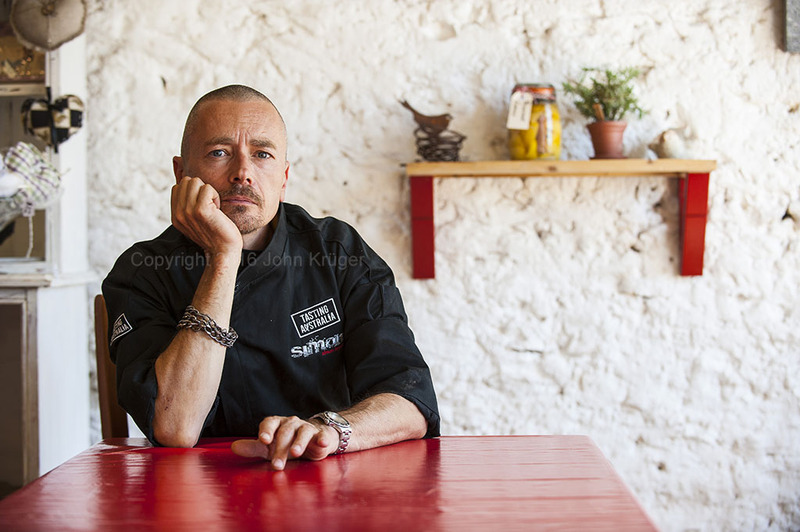 Here’s a pic from a quick shoot with Simon to publicise an event he was catering in Clare, South Australia. He was waiting for me to set up and (slightly) impatiently drumming his fingers on the table. I like this shot better than the posed ones. I’m an Adelaide based professional photographer and the majority of my work is shot around South Australia. My two real loves are food and portraiture. I like sunsets, but you won’t see too many here. I work with great publishers, restaurants, food producers, wineries and breweries. Sometimes I also write about travel, food and beer in magazines.